The letter U is for United Kingdom. We just got back from the Epcot International Flower and Garden Festival and were quite impressed with everything the UK had to offer (especially the Lemon Scones)! Awesome – Peter Pan is back on top the building this year! Can't wait to see it in person this weekend!! Thanks for sharing. Beautiful shots! That scone looks yummy! Great "U"! 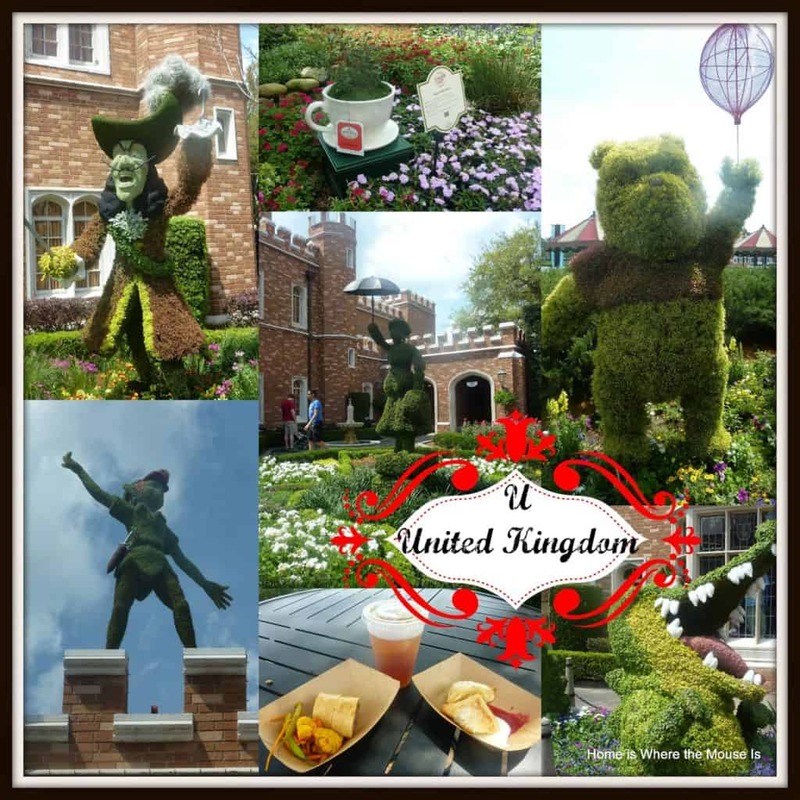 Love the UK topiaries and the scones look delicious!! Cannot wait!! Awww, I racked my brain trying to think of a U. UK is perfect!!!!! So cute! I love the little tea cup! Beautiful topiaries & liked the collage display. Would love to go during this time of year!